Islamic terror in the homeland is nothing new. 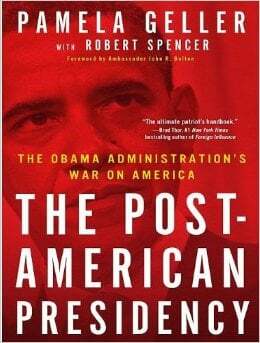 What is new is that despite the Obama administration and enemedia’s relentless campaign to scrub and obfuscate the motive behind the hate, violence and war, the American people are finally waking up. BROOKLYN BRIDGE – In 2002, Iyman Faris, a U.S.-based al-Qaeda operative, planned to cut the Brooklyn Bridge’s support cables at the direction of 9/11 mastermind Khalid Sheikh Mohammed. However, as a testament to NYPD terrorism deterrence efforts, Faris called off the plot, indicating to al-Qaeda leaders that “the weather is too hot.” NYPD’s 24-hour coverage of the bridge, much of which was put in place following 9/11 and intentionally made highly visible, played a large role in Faris’ decision to abandon the plot. Faris was arrested in 2003, pleaded guilty, and sentenced to 20 years in federal prison for providing material support and resources to al-Qaeda, among other charges. 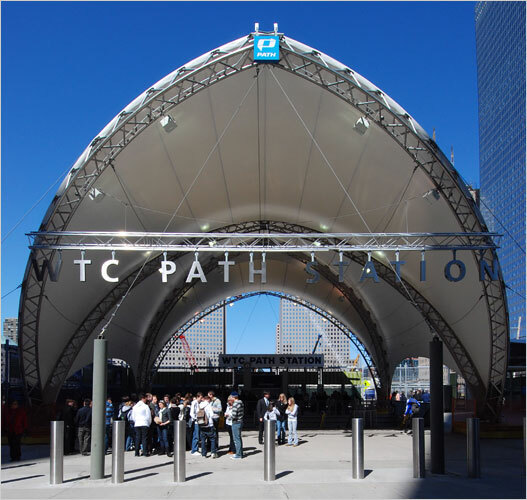 Knowing that the city’s bridges and critical infrastructure remain attractive terrorist targets, the NYPD maintains heightened security around such facilities. SUBWAY CYANIDE ATTACK – In 2003, al-Qaeda had planned to release cyanide gas in New York City’s subway system, which carries more than 5,000,000 passengers on an average weekday, as well as targeted other public places for attack. According to a U.S. government official familiar with the plot, the plan was called off by Osama bin Laden’s second in command, Ayman al-Zawahiri, for unclear reasons. The NYPD took appropriate precautions after becoming aware of the plot. resident, was sentenced to 30 years in federal prison after he was convicted of attempting to help al-Qaeda operative Majid Khan enter the United States to attack gas tanks in a plot developed alongside 9/11 planner Khalid Sheikh Mohammed. In early 2003, Paracha impersonated Khan in dealings with the Immigration and Naturalization Service (INS), and agreed to use Khan’s credit card to make it appear Khan was in the United States rather than in Pakistan. He also was in possession of several identification documents in Khan’s name, and written instructions from Khan on how to pose as Khan in dealing with the INS. Paracha was found guilty in 2005 on charges including conspiracy to provide and providing material support to al-Qaeda; conspiracy to provide, and providing funds, goods, or services to al-Qaeda; and identification document fraud committed to facilitate an act of international terrorism. Majid Khan pleaded guilty in February 2012 in a military court at Guantanamo to charges stemming from his involvement with al-Qaeda and admitted to the gas tank plot, planning to assassinate Pakistan’s President Musharraf, and complicity in a 2003 bombing of a Marriot hotel in Jakarta, Indonesia. 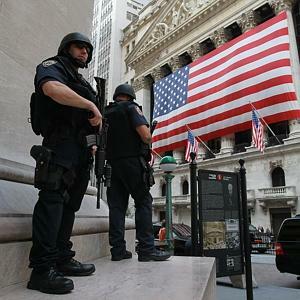 The NYPD cooperated with federal authorities through the Joint Terrorism Task Force to uncover Paracha’s plan. Uzair Paracha’s father, Saifullah Paracha, also was alleged to have aided al-Qaeda. The senior Paracha worked with Khalid Sheikh Mohammad to devise a way to smuggle explosives – including possibly nuclear weapons – into the United States using the New York office of Paracha’s import-export business. Saifullah Paracha, who attended the New York Institute of Technology and worked in the city for over a decade, was arrested in 2003 after Uzair stated to authorities that his father was a militant. HERALD SQUARE – Shahawar Matin Siraj and James Elshafay plotted in 2004 to place explosive devices in the Herald Square subway station in Manhattan. 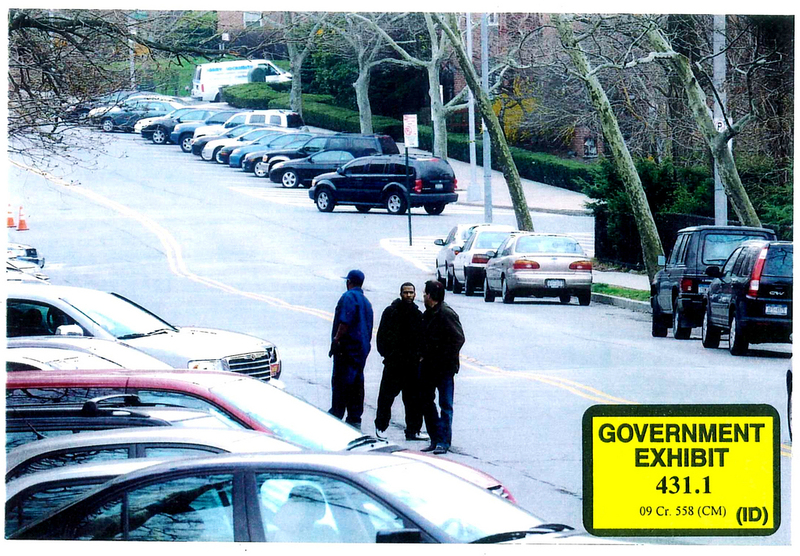 Elshafay had already given consideration to potential targets by the time he met an NYPD informant in early 2004. In recorded conversations, Siraj expressed desire to bomb bridges and subway stations, and cited misdeeds by American forces in Iraq as a motivating factor. Siraj and Elshafay conducted surveillance of Herald Square station in late August 2004 and drew a crude diagram to aid in placing the explosives; they were arrested a few days later. Elshafay pleaded guilty to conspiracy to damage or destroy a subway station by means of an explosive. Siraj was found guilty in 2006 of conspiracy to place and detonate an explosive in a public transportation system; conspiracy to damage and destroy, by means of an explosive, a building or vehicle; conspiracy to wreck and disable a mass transportation vehicle; and conspiracy to place a destructive device in or near a facility used in the operation of mass transportation. He was subsequently sentenced to 30 years in prison. Shepherding the case from initial lead to federal prosecution required close cooperation with the U.S. Attorney’s Office for the Eastern District of New York. PATH TRAIN and WORLD TRADE CENTER RETAINING WALL – In July 2006, the FBI revealed it had uncovered a plot involving an attack on a PATH commuter train tunnel connecting New York and New Jersey, the placement of suicide bombers on trains, and the destruction of the retaining wall separating the Hudson River from the World Trade Center site in the hopes of causing massive flooding in the city’s Financial District. The plot was uncovered in its early stages through a year-long FBI investigation that included the monitoring of internet chat rooms frequented by extremists, and involved at least eight suspects spread over several countries. The plot’s alleged mastermind, al-Qaeda affiliated Assem Hammoud of Lebanon, was taken into custody by authorities there. Hammoud said he was acting on orders from Osama bin Laden and that he was planning to travel to Pakistan to receive training at an al-Qaeda camp. Another suspect was arrested in Canada and a third in England. JFK AIRPORT – Beginning in 2006, four men plotted to detonate the jet-fuel storage tanks and supply lines for John F. Kennedy Airport in order to cause wide-scale destruction and economic disruption in an attack they intended to dwarf 9/11. Through the Joint Terrorism Task Force, the NYPD worked with the FBI, which placed an informant next to the principle plotter, Russell Defreitas, a native of Guyana and Brooklyn resident who was an airport cargo handler. Defreitas’s accomplices were Abdul Kadir, a former parliamentarian from Guyana with admitted ties to Iran; Abel Nur of Guyana; and Kareem Ibrahim of Trinidad and Tobago. Relying in part on Defreitas’ knowledge, the men conducted extensive surveillance of the airport, and traveled to Guyana and Trinidad and Tobago to attempt to secure the support of Jamaat al-Muslimeen, an Islamic extremist group operating in the region. The group also discussed contacting Adnan Shukrijumah, an al-Qaeda explosives expert believed to be in the Caribbean at the time. Kadir was sentenced to life in prison in 2010; Nur was sentenced to 15 years in 2011 after pleading guilty to material support the previous year; Ibrahim received life in 2012. All three were extradited to the United States to stand trial. Defreitas was arrested in New York and received a life sentence in 2011 after being convicted of conspiracy to attack a public transportation system; conspiracy to destroy a building by fire or explosive; conspiracy to attack aircraft and aircraft materials; conspiracy to destroy international airport facilities; and conspiracy to attack a mass transportation facility. LONG ISLAND RAILROAD – Bryant Neal Vinas, of Long Island, New York, traveled to Pakistan with an intent to die fighting against American forces in Afghanistan. He was later called to testify in the trial of Adis Medunjanin, one of Najibullah Zazi’s co-conspirators in the September 2009 subway plot (see below). In his testimony, Vinas stated he was motivated by the preaching of radical Yemeni-America cleric Anwar al-Awlaki. He spent much of his time in Pakistan shopping for a group to join before ultimately ending up in North Waziristan in Pakistan’s tribal areas in early 2008 and subsequently received over five weeks of terrorism training from al-Qaeda. In summer of 2008, Vinas spoke to al-Qaeda about targeting the Long Island Railroad using a suitcase bomb that would be left in a car and set to detonate. 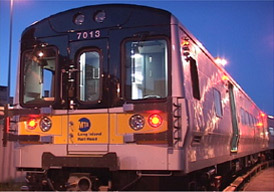 He drew maps of Long Island and showed that all LIRR trains passed through one tunnel when entering Manhattan; suggesting that an explosion in the tunnel would cause the most damage. Pakistani authorities arrested Vinas in November 2008 and he pleaded guilty in the United States to federal charges of conspiracy to murder, material support to al-Qaeda and receiving military training from al-Qaeda. BRONX SYNAGOGUES – In May 2009, four men placed what they believed were functioning bombs outside of Jewish targets in the Bronx neighborhood of Riverdale and additionally constructed plans to fire missiles at military transport planes at Stewart International Airport near Newburgh, NY. Suspect James Cromitie confided his desire to commit acts against the United States to a federal informant in 2008 and aspired to travel to Afghanistan to become a Martyr, and to join Pakistani extremist group Jaish-e-Mohammad. Cromitie recruited Onta Williams, David Williams IV, and Laguerre Payen to join him in the Riverdale attacks. By April 2009, the four targeted the Riverdale Temple and nearby Riverdale Jewish Center, and conducted surveillance at Stewart Airport. A government informant supplied the group with an inert missile system and fake explosives. The group was arrested after they placed what they believed were functioning bombs outside of their Riverdale targets, convicted in 2010 and subsequently sentenced to 25 year terms. NYC SUBWAY PLOT – In September 2009, the New York City subway system was targeted for attack by three individuals who planned to set off bombs in the subway during rush hour shortly after the eighth anniversary of 9/11. Once Queens residents Najibullah Zazi and Zarein Ahmedzay, of Afghan descent, and Bosnian Adis Medunjanin had self-radicalized largely through listening to online extremist material, including teachings by Anwar al-Awlaki. The trio plotted to travel to Afghanistan to fight alongside the Taliban against American and coalition forces, and said they were motivated by American actions against Muslim populations overseas. Although in Pakistan in late August 2008, Ahmedzay and Medunjanin were turned around by Pakistani security forces while trying to enter Afghanistan in a taxi. In looking for another approach, the three canvassed mosques in Peshawar, Pakistan until they were put in contact with al-Qaeda representatives. They then traveled to tribal areas in North Waziristan, where they received terrorist training from high-ranking members who urged their return to the United States to carry out an attack at home – a request to which they acquiesced. Zazi received further explosives training from al-Qaeda and the three returned to the U.S. separately. In January 2009, days after his return to the United States, Zazi moved to Aurora, CO where he began to experiment with explosives and eventually constructed the detonation charges for the bombs that were to be used by the trio in attacking the subway. He remained in contact with Ahmedzay and Medunjanin while in Colorado, and drove to New York from Aurora in early September 2009 with the explosive charges in his vehicle. TIMES SQUARE – Faisal Shahzad, a Pakistan-American residing in Connecticut, attempted to detonate a car bomb in Times Square on May 1, 2010. Like Vinas and the Zazi-trio before him, Shahzad received terrorist training in Pakistan’s Waziristan region during a trip he made to the country from July 2009 until February 2010. The training was provided by the Tehrik-i-Taliban Pakistan (TTP), generally referred to as the Pakistani Taliban. Upon returning to the United States, Shahzad received $12,000 in two separate payments from a TTP-associated co-conspirator to aid his plot. 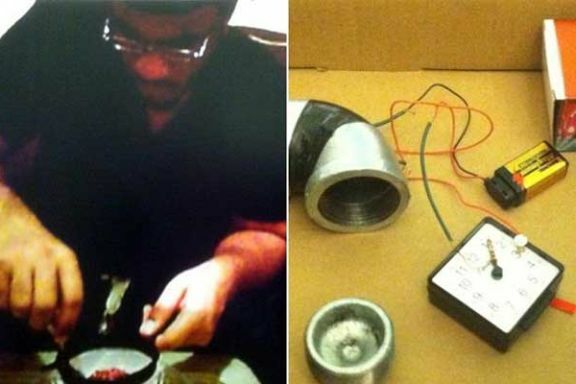 The bomb’s failure to detonate had to do in large part with the inferior components Shahzad used; Shahzad was concerned that purchasing more effective ingredients as called for by his training would alert law enforcement. Shahzad was influenced, in part, by the teachings of Anwar al-Awlaki and in court, cited American foreign policy as a primary motivator for his actions. Cooperation between NYPD and the FBI led to his identification and arrest 53 hours after the attempted bombing, as he attempted to flee the country. Shahzad pleaded guilty to all charges against him and was sentenced to life in prison. MANHATTAN SYNAGOGUE – Ahmed Ferhani, an Queens resident born in Algeria, along with Mohammad Mamdouh, a Moroccan immigrant, were arrested in May 2011 in an NYPD operation in which Ferhani purchased a hand grenade, three semi-automatic pistols and ammunition from an undercover detective. NYPD’s investigation into the pair revealed their desire to attack a synagogue in New York City. Ferhani was indicted under New York State’s anti-terrorism legislation and pleaded guilty in December 2012 to charges including conspiracy as a crime of terrorism and criminal possession of a weapon as a crime of terrorism. 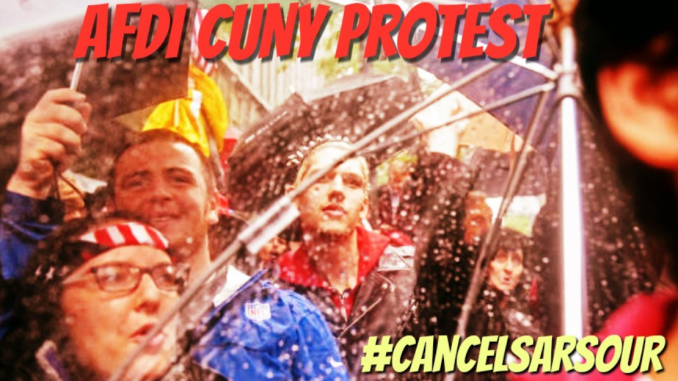 In his allocution, Ferhani stated that he agreed with Mamdouh to “develop a plan to attack and damage a synagogue in New York County or elsewhere in New York City using explosives” in an effort to coerce and intimidate the city’s Jewish population. He further clarified that his motivation was to avenge the perceived mistreatment of Muslims worldwide. Ferhani was sentenced in March 2013 to 10 years in state prison after his guilty plea in December 2012 to terror-related charges for plotting to target New York synagogues. The case marks the first application of New York’s terror laws in a terrorism case. RETURNING MILITARY TARGETED – Jose Pimentel, a native of the Dominican Republic and convert to Islam, was charged with plotting to detonate bombs in and around New York City in November 2011. He used instructions on how to build a bomb published by al-Qaeda’s Inspire magazine. 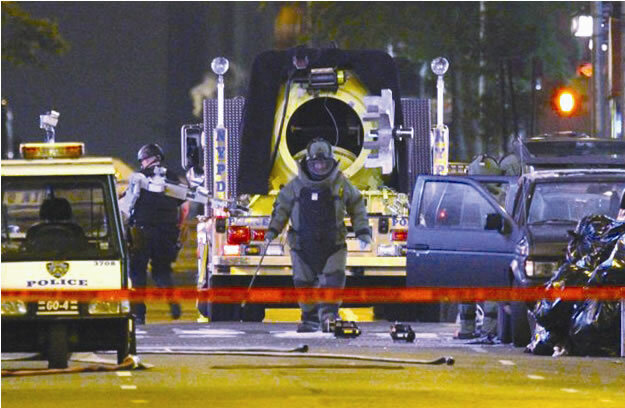 After a two-and-a-half year investigation by the NYPD Intelligence Bureau, Pimentel was caught while assembling three bombs. Pimentel’s targets included members of the Armed Forces who were returning from service in Iraq and Afghanistan. He also considered traveling to Yemen to participate in terrorist training and claimed to have emailed radical Yemeni-American cleric Anwar al-Awlaki but received no response. However, Pimentel successfully corresponded with Jesse Morton, the founder of the website Revolution Muslim, who was sentenced in June 2012 to 11.5 years in prison for using the internet to solicit violence against individuals to include the writers of the popular TV-satire South Park. Pimentel’s criminal case is pending. FEDERAL RESERVE – Quazi Mohammad Rezwanul Ahsan Nafis, a 21 year old native of Bangladesh residing in the U.S. on a student visa, was arrested in October 2012 as he attempted to remotely detonate what he believed was a bomb in front of the Federal Reserve Bank of New York in lower Manhattan. Nafis came to law enforcement’s attention in July 2012 as he unknowingly tried to recruit a confidential government source to aid in his plan to attack the United States at home. In an articleNafis had hoped would be published in al-Qaeda’s Inspire magazine, he asserted his desire to “destroy America” by attacking its economy. Nafis also told the government source that he had al-Qaeda contacts abroad that could assist in the planning and execution of an attack. The fake explosive was assembled by Nafis and an undercover government agent. Nafis pleaded guilty in February 2013 to attempting to use a weapon of mass destruction and was subsequently sentenced to 30 years in prison. The NYPD cooperated closely with the FBI in the case through the Joint Terrorism Task Force. 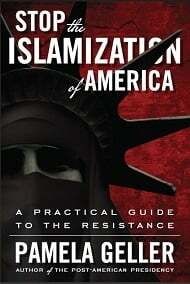 JESSE MORTON, YOUSEF MOHAMID AL-KHATTAB, & REVOLUTION MUSLIM – A multi-year NYPD Intelligence Bureau investigation into Revolution Muslim and its leaders culminated in the arrest and guilty pleas of Jesse Morton and Yousef Al-Khattab, two New York area Muslim converts who cofounded the group. 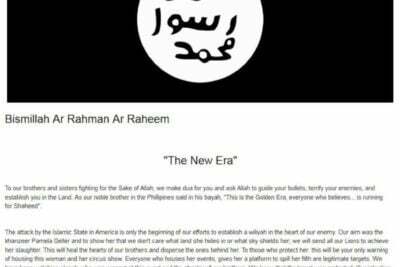 Through its efforts, the NYPD became aware of the extremist material and threats posted on the Revolution Muslim website including statements supporting Osama Bin Laden, Anwar Al-Awlaki, al-Qaeda, and the Taliban. The NYPD partnered with the FBI and the U.S. Attorney for the Eastern District of Virginia, whose investigative and prosecutorial expertise was central to the case. Morton was apprehended in Morocco and pleaded guilty in February 2012 to federal charges of conspiring to solicit murder, making threatening communications, and using the Internet to place others in fear, most notably through the Revolution Muslim website. He was sentenced in June 2012 to 138 months in prison followed by three years of supervised release. In October 2013, Al-Khattab pleaded guilty to a federal charge of using Revolution Muslim to place others in fear of death or serious injury. He is currently awaiting sentencing. In his plea, Morton admitted to influencing Rezwan Ferdaus (sentenced in November 2012 by a federal court to 17 years for a plot to attack the Pentagon and Capitol with remote-controlled airplanes) and Colleen Larose (aka Jihad Jane, who pleaded guilty to charges related to a plot kill a Swedish artist who offended Muslims). 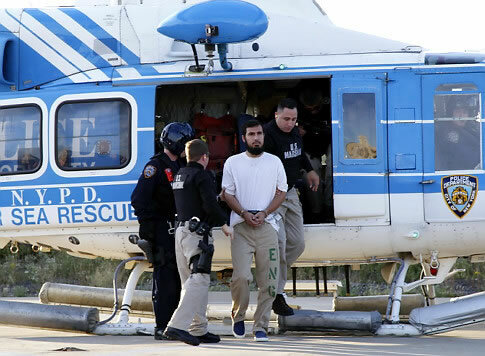 Jose Pimentel, currently awaiting trial in New York for charges related to a plot to place bombs in and around the city, was also in contact with Morton. Zachary Chesser, a frequent contributor to Revolution Muslim, was sentenced to 25 years in federal court for providing material support to al-Shabaab, communicating threats and soliciting acts of extremism, including against the creators of South Park. MOHAMED ALESSA & CARLOS ALMONTE – In April 2013, Mohamed Alessa and Carlos Almonte, both of New Jersey, were respectively sentenced to 22 and 20 years in prison after pleading guilty to conspiring to murder persons outside of the United States on behalf of al-Shabaab, the Somalia-based, al-Qaeda-affiliated terrorist group. The two were arrested in June 2010 as they attempted fly out of JFK Airport. In preparation for their plan to join the group, the two admitted to saving thousands of dollars, engaging in physical training, partaking in simulation exercises including using paint-ball guns, and acquiring tactical gear. An NYPD undercover officer played a critical role in recording meetings with both men, which helped advance a federal investigation into the pair’s activity. ABDEL HAMEED SHEHADEH – In 2008, Abdel Hameed Shehadeh, a native-born New Yorker, traveled to Pakistan with the intent of joining a militant group. Prior to his departure, however, an NYPD undercover officer became aware of Shehadeh’s plans. The NYPD immediately notified the FBI of Shehadeh’s impending travel, which resulted in Pakistani authorities denying him entry in their country and his return to the US. In 2010, the FBI arrested Shehadeh for making false statements to federal authorities in matters relating to terrorism, specifically obscuring his true purpose in traveling to Pakistan. Shehadeh also created and ran websites that advocated violent jihad against the west and that promoted the material of radical Muslim cleric Anwar al-Awlaki and other al-Qaeda leaders. 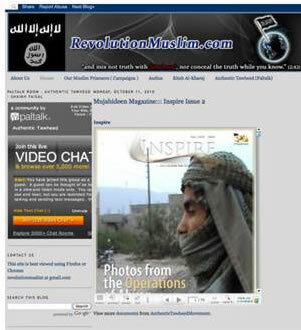 He advertised at least one of his sites on Jesse Morton’s Revolution Muslim webpage. On March 25, 2013, Shehadeh was convicted of three counts of making false statements in a matter involving international terrorism. He faces up to 21 years in prison. JUSTIN KALIEBE – American citizen Justin Kaliebe pleaded guilty in Feb. 2013 to charges of providing material support to terrorists. The Long Island resident was arrested at JFK Airport in January while attempting to board a flight to Oman with the intent of reaching Yemen to join al-Qaeda in the Arabian Peninsula. 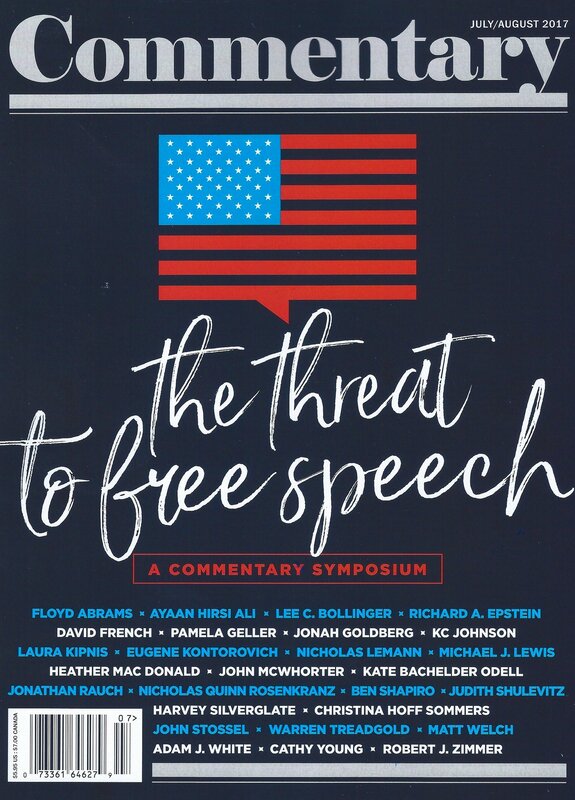 In conversations recorded by an NYPD undercover officer, Kaliebe voiced his desire to engage in violent “jihad” abroad and specifically to fight against the Yemeni army and those who are “fighting against the Sharia of Allah” to include the United States; he made clear his willingness to die in pursuit of his goal. Kaliebe cited both Osama bin Laden and Anwar al-Awlaki as inspirations. HUMAYOUN GHOULAM NABI & ISMAIL ALSARABBI – In October 2013, Humayoun Ghoulam Nabi and Ismail Alsarabbi were arrested on state-level terrorism charges for seeking to send cold weather gear and electronics to support terrorist organizations in Afghanistan and Pakistan, including the Taliban. The pair met with a supplier to procure winter clothing, including jackets and boots, which were to be stored in a Jamaica, NY warehouse prior to being sent overseas. Nabi sought the assistance of an NYPD undercover officer in delivering the gear to fighters battling Western forces in Afghanistan. Nabi compared his efforts to those of Osama Bin Laden, stated his desire to build a network of supporters, and sought to use a non-profit to covertly send money overseas in furtherance of his cause. MARCOS ALONSO ZEA – Marcos Alonso Zea, a US citizen from Brentwood, Long Island, was arrested in October 2013 following a joint investigation by the FBI and the NYPD Intelligence Bureau. Zea was indicted on federal terrorism charges related to his failed January 2012 attempt to travel to Yemen to join Al-Qaeda in the Arabian Peninsula, considered the most dangerous Al-Qaeda affiliate to American interests. Zea was a friend of Justin Kaliebe (see above). An NYPD undercover with extensive knowledge of Yemen played a key role in determining that Zea had sought to join the terrorist group. Zea is being prosecuted in the Eastern District of New York. Sept. 11, 2001 – Nineteen al-Qaida terrorists hijacked four American passenger planes in a coordinated attack on U.S. soil. Nearly 200 Americans were murdered by the terrorists who hijacked American Airlines Flight 77 and flew it into the Pentagon, collapsing its western side. Meanwhile, two other planes, American Airlines Flight 11 and United Airlines Flight 175, were flown into the North and South towers of the World Trade Center in New York City. Both 110-story towers collapsed, killing 2,752 people. A fourth plane, United Airlines Flight 93, was flown by terrorists diverting the flight to Washington, D.C. However, passengers fought the hijackers, and the plane crashed in a field near Shanksville, Pennsylvania, killing 40 passengers. Feb. 16, 2002 – Muslim snipers Lee Boyd Malvo and John Allen Muhammad kill Keenya Cook in Tacoma, Washington. The snipers would kill 21 more people in a crime wave that stretched from coast to coast. Sept. 5, 2002 – Paul J. LaRuffa, 55, is shot and wounded by snipers Lee Boyd Malvo and John Allen Muhammad in Clinton, Maryland, in the parking lot of his restaurant. Sept. 14, 2002 – Muslim snipers Lee Boyd Malvo and John Allen Muhammad wound Rupinder “Benny” Oberoi, 22, outside a liquor store in Silver Spring, Maryland. Sept. 15, 2002 – Snipers Lee Boyd Malvo and John Allen Muhammad would Muhammad Rashid, 32, outside a liquor store in Brandywine, Maryland. Sept. 21, 2002 – Snipers Lee Boyd Malvo and John Allen Muhammad kill Million A. Woldemariam, 41, outside an Atlanta, Georgia, liquor store. Snipers also kill Claudine Lee Parker, 52, outside a liquor store in Montgomery, Alabama. The snipers shot Kellie Adams, 24, in the neck as she approached a liquor store in Montgomery, Alabama, where she worked. Sept. 23, 2002 – Snipers kill Hong Im Ballenger, 45, outside a beauty store in Baton Rouge, Louisiana. They also kill James D. Martin, 55, outside a supermarket in Wheaton, Louisiana. Oct. 3, 2002 – Snipers kill James L “Sonny” Buchanan, 39, while he mows a lawn near a car dealership in White Flint, Maryland. Premkumar A. Walekar, 54, is murdered while he pumps gas at a station in Aspen Hill, Maryland. The snipers kill Sarah Ramos, 34, as she sat outside a shopping center in Silver Spring, Maryland. They also murder Lori Lewis Rivera, 25, while she vacuums her car at a Shell gas station in Kensington, Maryland. While she attempts to cross a street in Northwest Washington, Pascal Charlot, 72, is shot and killed by the snipers. Oct. 4, 2002 – Snipers wound Caroline Seawell, 43, as loads her car with her purchases in a Fredericksburg, Virginia, store parking lot. Oct. 7, 2002 – Snipers wound 13-year-old Iran Brown outside a Nejamin Tasker Middle School in Bowie, Maryland. Oct. 9, 2002 – Snipers kill Vietnam veteran Dean H. Meyers, 53, while he pumps gas in Manassas, Virginia. Oct. 11, 2002 – Snipers kill Kenneth H. Bridges, 53, as he pumped gas at a station near Massaponax, Virginia. Oct. 14, 2002 – Snipers kill Linda Franklin, 47, in a Home Depot parking lot in Falls Church, Virginia. Oct. 19, 2002 – Snipers wound Jeffrey Hopper, 37, while he walks with his wife in a restaurant parking lot in Ashland, Virginia. Oct. 22, 2002 – Snipers kill Conrad E. Johnson, 35, a bus driver standing in the doorway of his bus in Aspen Hill, Maryland. Aug., 6, 2003 – The Muslim son of a Saudi millionaire, Mohammed Ali Alayed, 23, slashes the throat of an estranged Jewish friend, Ariel Sellouk, killing and nearly decapitating the man in Houston, Texas. Dec. 2, 2003 – A Jewish man, Joseph Applebaum, suffers from a swelling of the stomach that is easily diagnosed and treated. He was identified as Jewish on the front of his medical chart. But instead of receiving treatment, he is left to die by his Muslim doctor. January 2005 – Somali immigrant Mustafa Mohamed, 30, slashes and injures six people at a retirement home in Alexandria, Virginia. One resident required 200 stitches. Another suffered a broken neck. A judge rules Mohamed is not guilty by reason of insanity. March 3, 2006 – Mohammed Reza Taheri-azar, an Iranian-American seeking to “avenge the deaths of Muslims worldwide” and “punish” the U.S. government, intentionally runs down and injures nine people with his sport utility vehicle on the campus of the University of North Carolina at Chapel Hill. He pleaded guilty to nine counts of attempted first-degree murder and was sentenced to 33 years in prison. June 16, 2006 – A 62-year-old Jewish man, Paul Schrum, who had gone to the movies to see “X-Men: The Last Stand” in a heavily Jewish area near Baltimore, Maryland, is shot by Muslim gunman Mujtaba Rabbani Jabbar, 24. Jabbar shot Schrum three times in the upper body, walked into the lobby, placed his gun on a counter and waited for police. June 25, 2006 – Michael Julius Ford, a 22-year-old convert to Islam, uses a long-barrel handgun to shoot four co-workers and a police officer at a Denver, Colorado, Safeway, claiming the attack was “Allah’s choice.” One person died in the shooting spree. When Ford fired at police, he was shot and killed. July 28, 2006 – Muslim Pakistani man Naveed Afzal Haq shot six women, killing one, at the Jewish Federation of Greater Seattle building in Seattle, Washington. Haq grabbed a 14-year-old girl and used her as a hostage during the attack. Officials classified the attack as a “hate crime” rather than terrorism. Jan. 1, 2008 – Egyptian-born cab driver Yaser Said shoots and kills his two daughters in Irving, Texas, because they were dating non-Muslim boys. The daughters had run away from home a week earlier, fearing their father would kill them. July 16, 2015 – Four U.S. Marines have been shot dead in an attack, reportedly by a lone Islamic gunman, on U.S. Navy facilities in Chattanooga, Tennessee. Chattanooga Mayor Andy Berke said five people died in all, including the gunman. Two law enforcement sources told CBS News that the shooting suspect was identified as Muhammad Youssef Abdulazeez, 24. Abdulazeez was born in Kuwait and emigrated to the U.S. where he reportedly became a naturalized U.S. citizen.